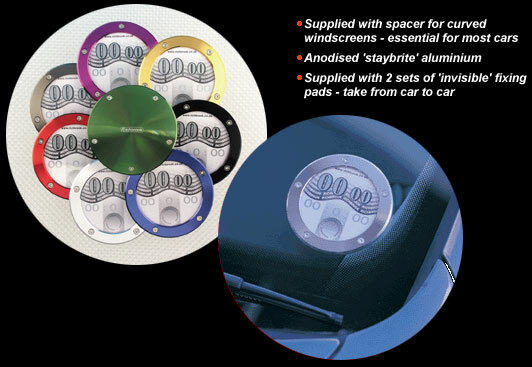 Anodised Aluminium Tax Disc Holder. Anodised silver alloy colour in stock (as shown below on windscreen). Other colour types allow 14 days for delivery. Universal fit - strong sucker on base operated by turning curled knob. Suitable for all windscreens including curved ones.